Mosquitoes were surveyed (March - May, and November 2007) in all centers of the El GharbiaGovernorate. Seven mosquito species (6 culicine and 1 anopheline) were collected. These are Culex pipiens, Cx. perexiguus, Cx. antennatus, Cx. theileri, Ochlerotatus detritus, Culiseta longiareolata and Anopheles tenebrosus. Cx. 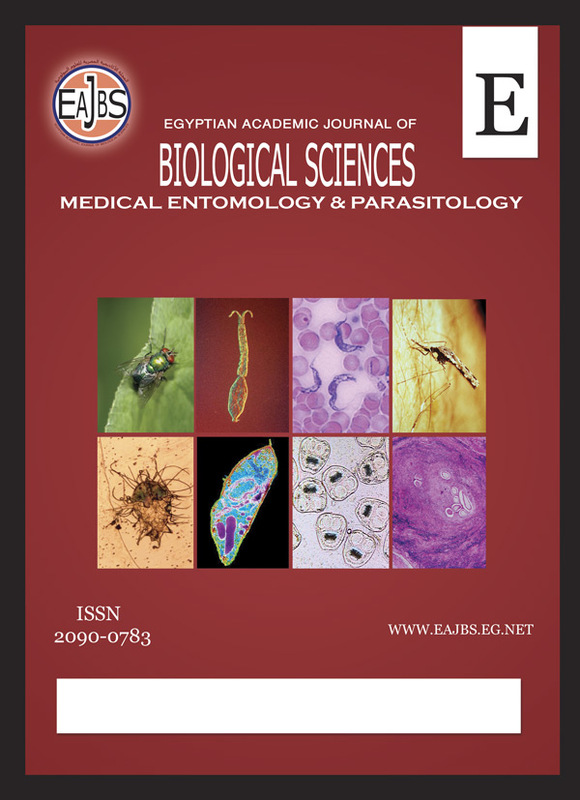 pipiens, the main filariasis vectorwas the most common or predominating species (ca. 45%, 15 adult/room and 86%, 63 larva/SU, P<0.01). Cx. antennatus (ca. 38%, 13 adult/room) was also common species (P<0.01). For the three common species, Cx, pipiens, Cx. perexiguus and Cx. antennatus the relation of their larval and adult indoor densities with the environmental factors (water temperature and pH; indoor- and outdoor- temperature and RH) were examined. No infection with Wuchereria bancrofti were found in 1493 blood sample examined. Only one Elephantiasis case was reported from El Santa center (1/ 196 examined sample).